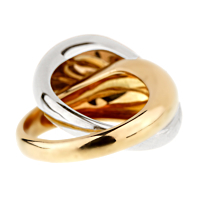 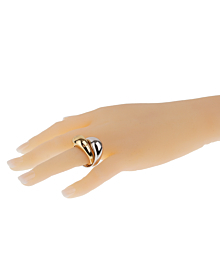 Two smooth gold rings come together to form one stunning piece in the two tone gold cocktail ring from Pomellato. 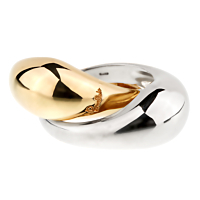 High polished yellow and white gold puffed, rounded bands sit alongside each other for a more substantial look. 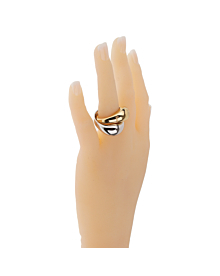 The width of each diminishes in size as the ring curves to the back.